Not quite a sizzle reel for the #handheld, but I’m going to start posting videos of games running on this thing. Again not sure how playable games will be over the course of a whole game start to finish but I’ve played each of these for about an hour and they’ve held up. 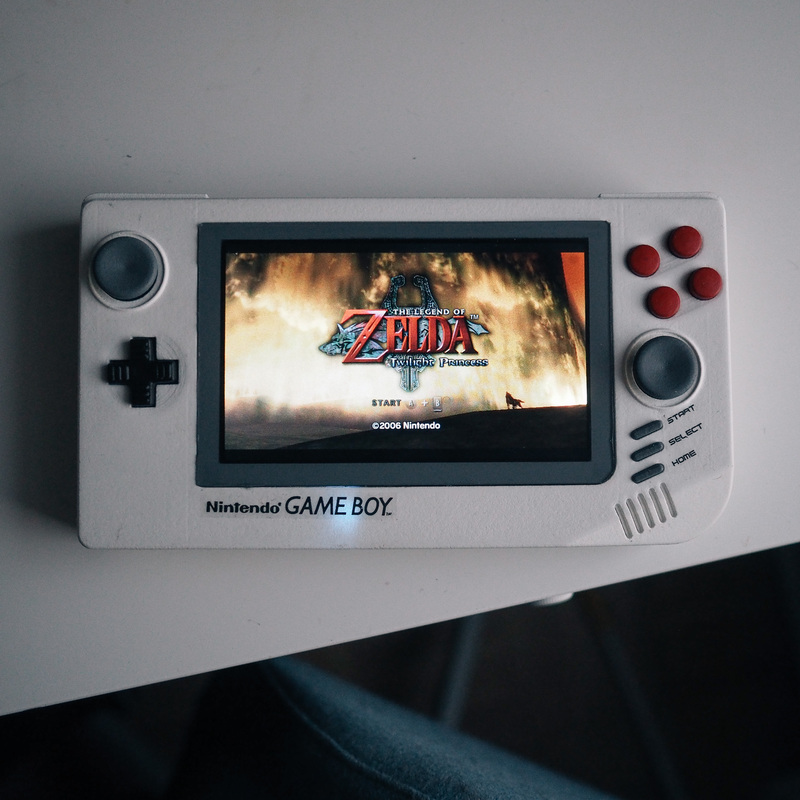 This entry was posted in 3dprinting, DIY, General, Hacks, maker, makerspace, PC, RaspberryPi, SteamPortable and tagged 3dprinting, Diy, gameboy, Hacks, iot, maker, makerfaire, makerspace, RaspberryPi, steam, steammachine, steammachineportable, SteamPortable, teensy, valve on January 18, 2017 by ruthven1670. So I got DM’ed by a troll who claimed that since the #nintendoswitch can play #Skyrim I was really just wasting my time. Now he might be right (from a pure time perspective) but I’ve had fun making this…having said that…here’s some Skyrim since apparently for your #handheld to be “worth it” it’s got to play Skyrim. Started a new game, not sure how smooth it might be FPS wise later on but the intro wasn’t too bad. Note, video is sped up 200%. Sorry for the blue cast on everything, the lighting in my apt isn’t good for video. This entry was posted in 3dprinting, DIY, General, Hacks, maker, makerspace, PC, RaspberryPi, SteamPortable and tagged 3dprinting, arduino, Diy, gameboy, Hacks, maker, makerspace, modding, RaspberryPi, shapeways, Specializationisoverrated, steam, steammachine, steammachineportable, SteamPortable, teensy, valve on January 15, 2017 by ruthven1670. 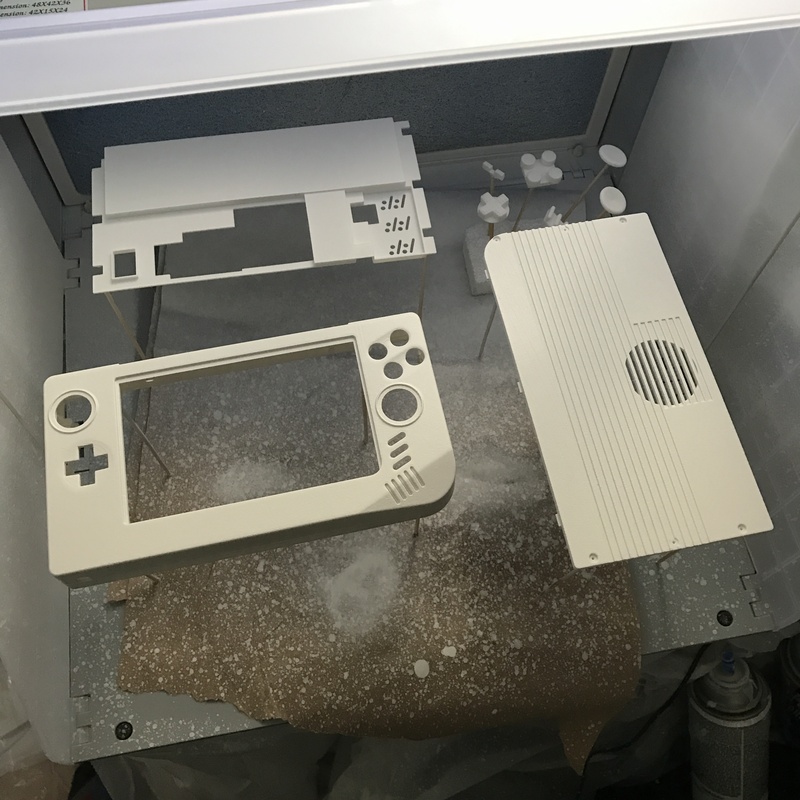 TLDR; got done with version 2 of my portable #steammachine based on #florianrenner ‘s awesome #gameboy1up concept… now onto version 2.5! -Installed battery. Version 1’s battery never fit right. -Xinput instead of Dinput using Zachery Littell’s ( @msf_reaper ) awesome library for the TeensyLC. -Switch between mouse mode and gamepad mode using a key combination. Similar to the steam controller’s reptile mode. -Add battery management logic, low power notification, etc. 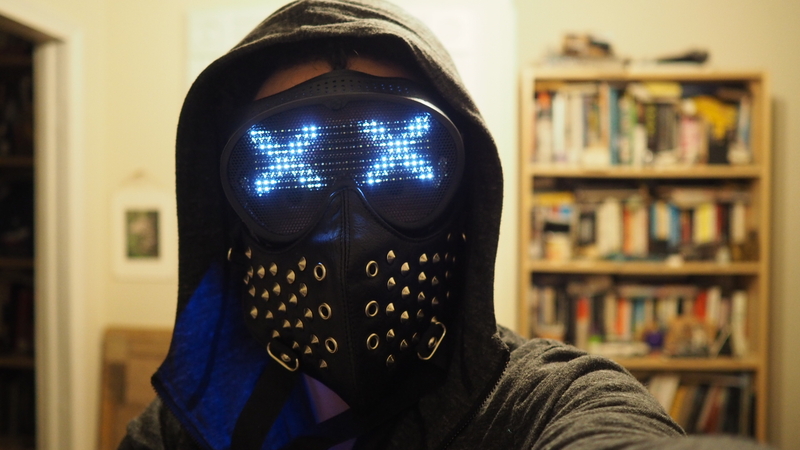 -Paint the inside of the case a dark color and mask LEDs so they don’t shine through. Screen size is driving the overall size of the case. It’s pretty large as is but basing it on 5″ doesn’t actually give you all that much volume to work with. I’ve been thinking of making a 7″ version of this which would allow me to use beefier hardware. I’ve got a M7 board that’s dying to get used. Still based around an @intel m3 processor. This entry was posted in 3dprinting, DIY, General, Hacks, maker, makerspace, PC, SteamPortable and tagged arduino, Diy, gameboy, Hacks, maker, makerspace, modding, pigrrl, RaspberryPi, steam, steammachine, steammachineportable, SteamPortable, teensy, valve on January 9, 2017 by ruthven1670. This entry was posted in 3dprinting, DIY, Hacks, maker, makerspace on January 9, 2017 by ruthven1670. 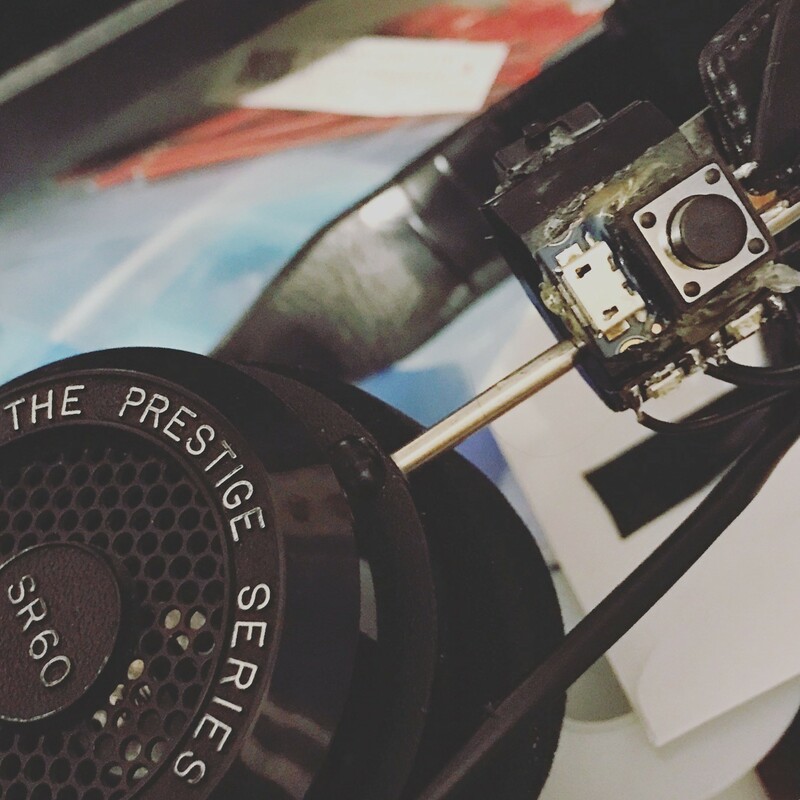 This entry was posted in DIY, Hacks, maker, makerspace and tagged Diy, diyheadphones, grado, gradolabs, Hacks, wirelessheadphones on December 25, 2016 by ruthven1670. 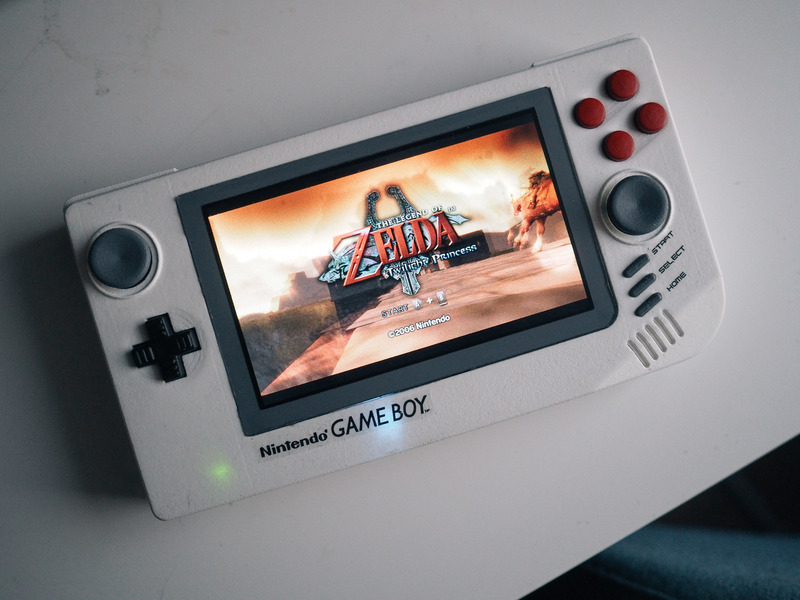 This entry was posted in 3dprinting, DIY, General, Hacks, maker, makerspace, PC, SteamPortable and tagged Diy, gameboy, Hacks, modding, pigrrl, RaspberryPi, steam, steammachine, steammachineportable, SteamPortable, teensy, teensylc, valve on December 21, 2016 by ruthven1670. 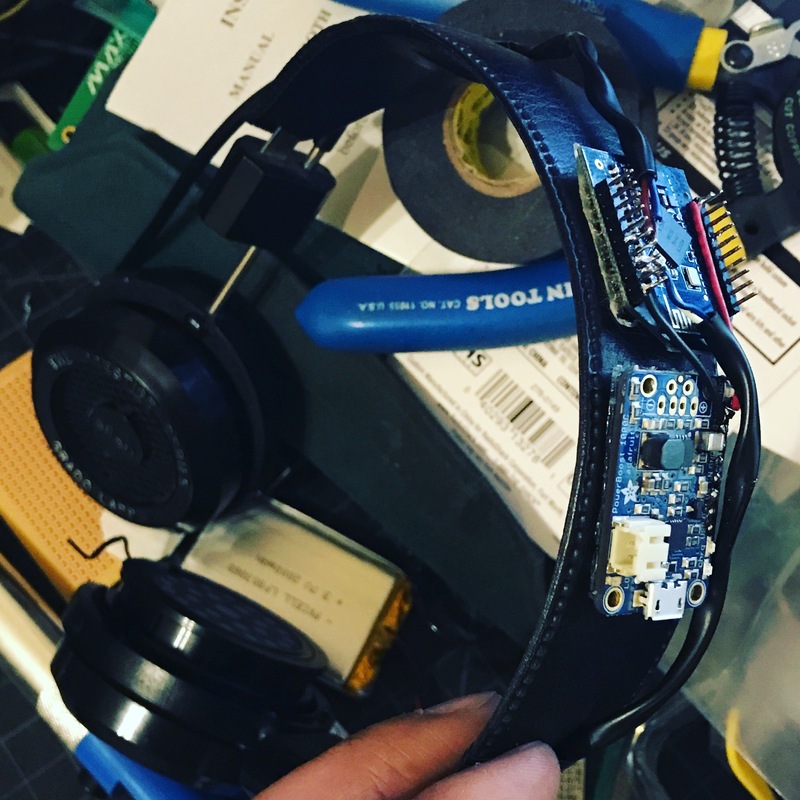 This entry was posted in 3dprinting, DIY, Hacks and tagged bluetooth, Diy, diyheadphones, grado, gradolabs, Hacks, wirelessheadphones on December 20, 2016 by ruthven1670.